We are instrumental in bringing superior quality Submersible Pump Sets. This range of Submersible Pump Sets is highly appreciated by clients for unique features like high tensile strength, high endurance, durability and longer service life. 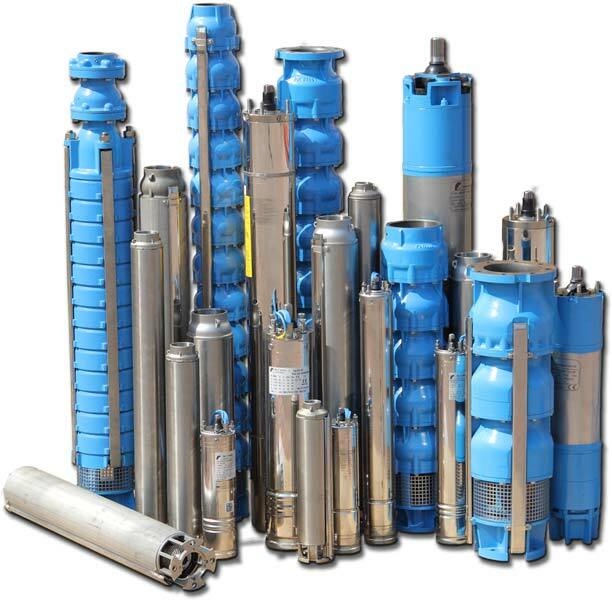 We also have the facility to offer these Submersible Pump Sets in customized packaging. Available in single phase & Three phase : 0.5-5.0 H.P. Head Range : 10-125 Meters and Discharge Range 10-350 L.P.M. Most Suitable for Domestic and Industrial purpose, Small water supply scheme, Hospitals & Schools, Agriculture, Fire fighting equipment, for houses & gardening. Head Range : 8 -221 Meters. Discharge Range 100 -1500 L.P.M. Available in three phase : 10.0 -50.0 H.P. Head Range : 10-240 Meters. Discharge Range 300- 2500 L.P.M.